This is one of my favourite spots in the winter. 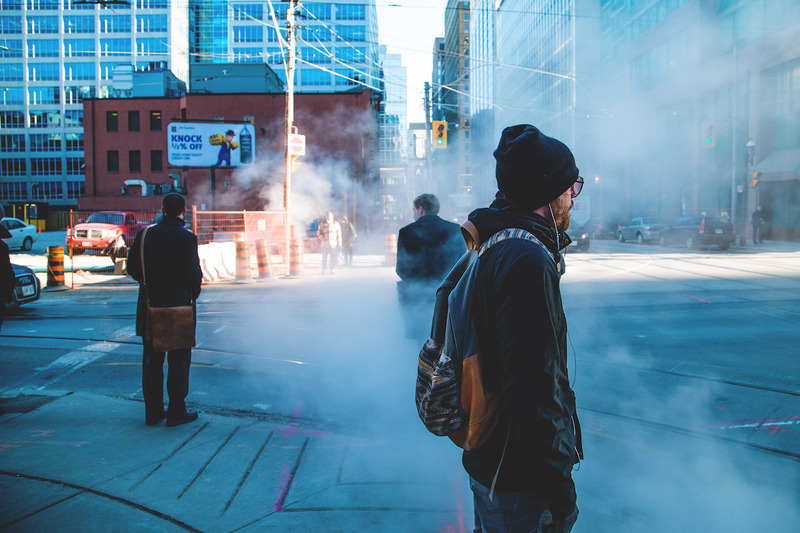 The street steam was in full effect and really emphasizes the bleak frigidness we call Canadian winter (even without the snow). You can’t help but feel sorry for the frozen pedestrians. 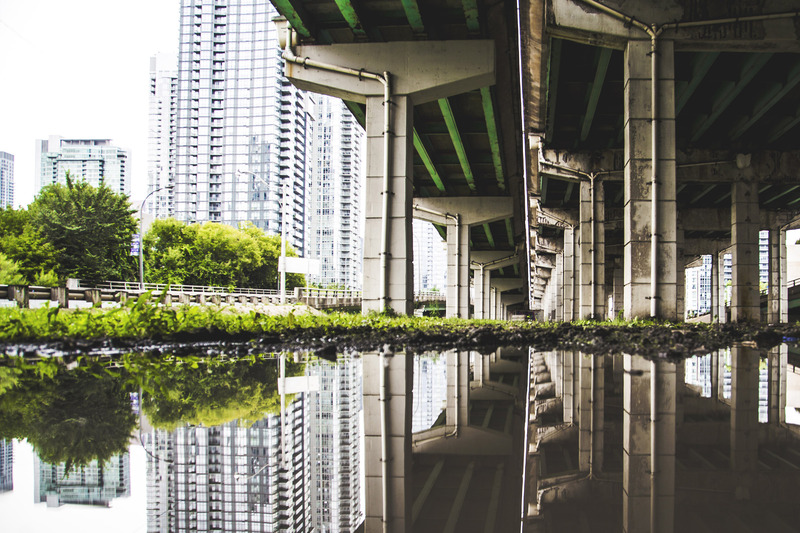 I love exploring the under belly of the Gardiner. I woke up at 4am and ventured down when traffic would be minimal. 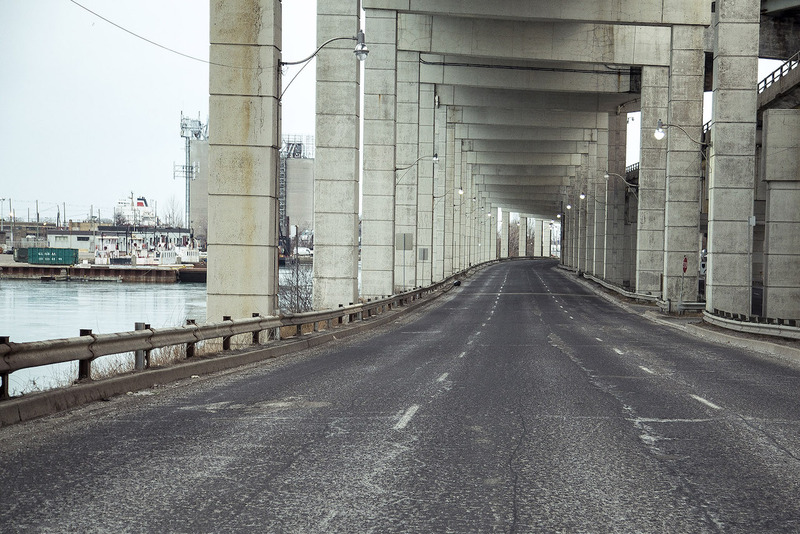 I tried to capture the vast and cold nature of the crumbling Gardiner we have all come to love and hate. Chinatown is one of favourite neighborhoods to shoot. There’s so much activity and commotion no matter what time of day. 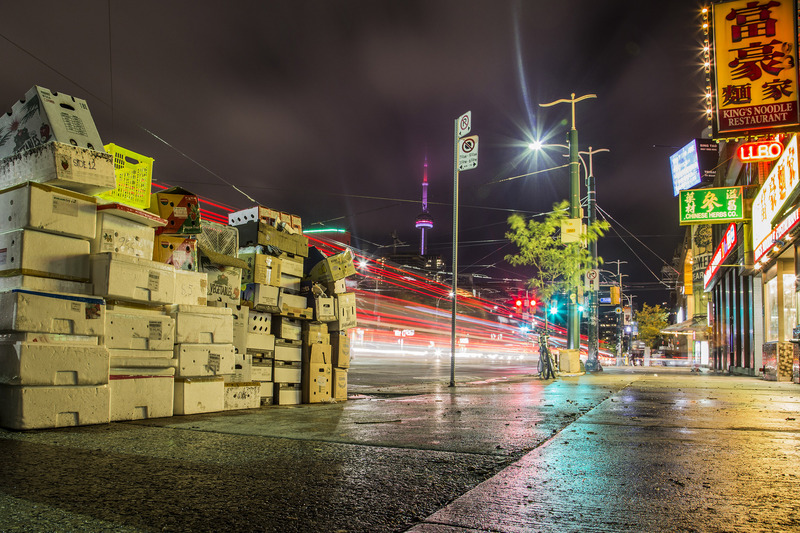 I noticed a massive stack of boxes and thought it made a very unique foreground to the hustle and bustle behind it. Here’s another one from under the Gardiner. I took advantage of the massive puddles that accumulated and leveraged the symmetry of the concrete pillars. The pop of green from the trees and upper portions of the expressway make for great contrast. Cabbagetown is another one of my favourite hoods — it’s tucked away in the east end of the city and full of interesting alley ways. 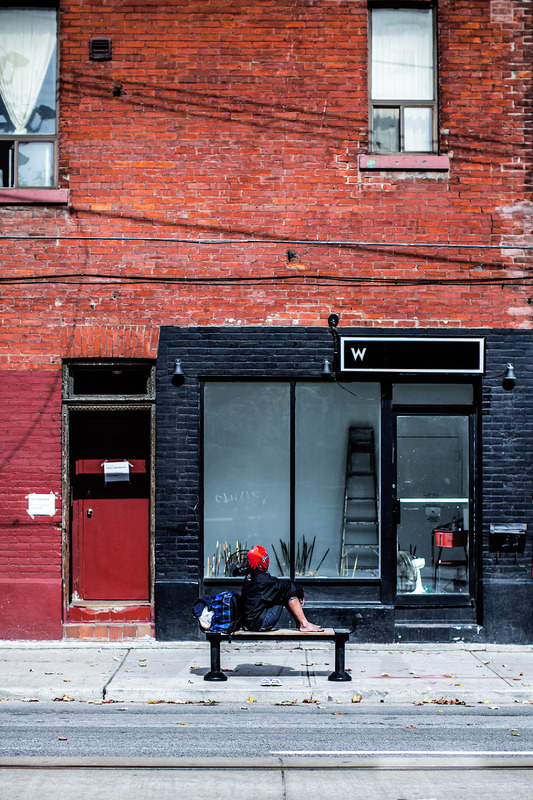 I always make a habit to explore the alleys and found an interesting vantage point looking east on Gerrard. This is one of those ‘right time, right place’ moments that photographers talk so heavily about. I’ve been to Polson Pier dozens of times and have yet to encounter conditions like this. Talk about everything coming into place for the perfect snapshot. This is a representation of classic fall in Toronto. 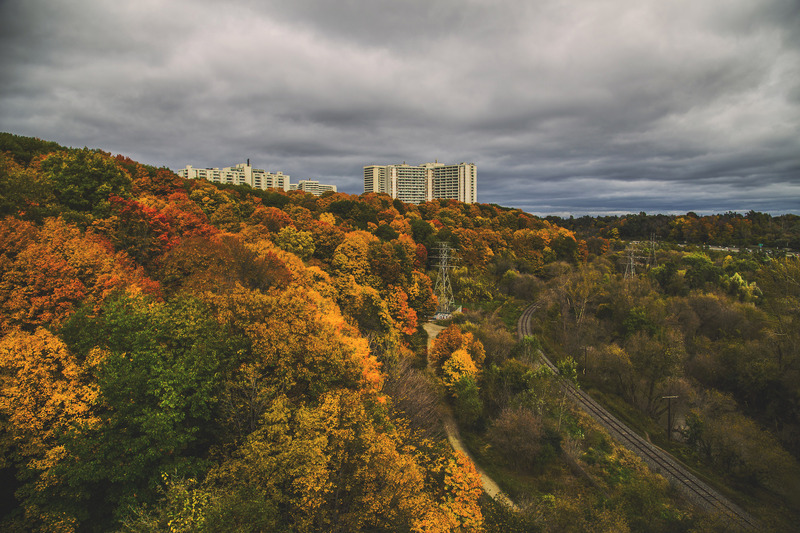 Overlooking the Don Valley, the colours during October are very intense. The grey clouds and buildings up top add mood to the already melancholy image. This was taken on Bathurst Bridge during the closing ceremonies of the Pan Am Games. This was seconds after the fireworks finished and I loved the effect from the lingering smoke. 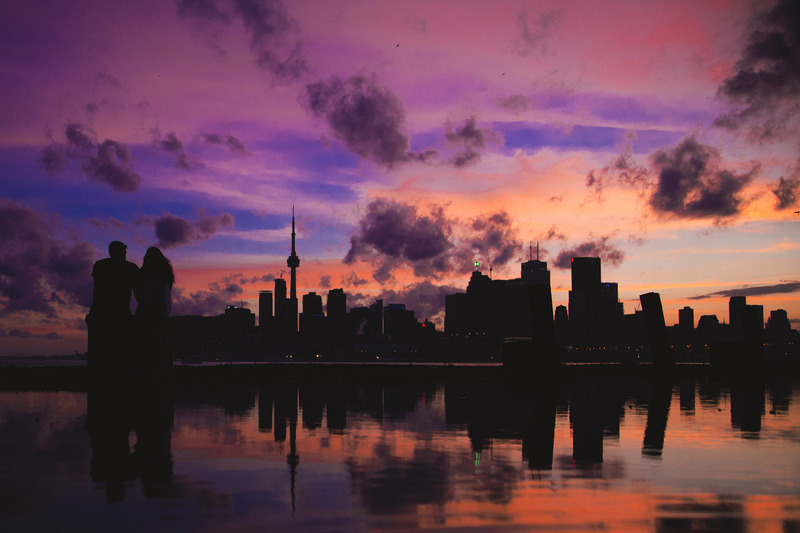 This view shows Toronto at its finest. This photo was taken on another chilly winter afternoon. 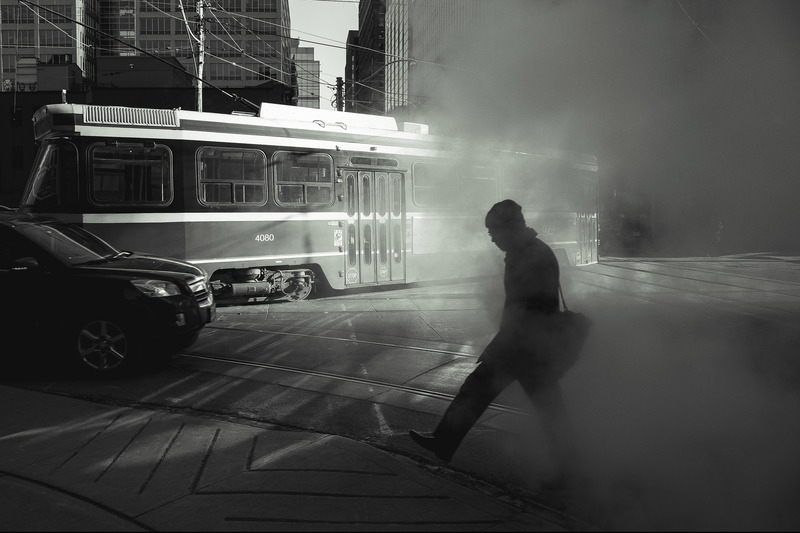 The steam rising from the sewers mixed with the lone pedestrian makes this one of my personal favourites. The TTC cameo is always a bonus! 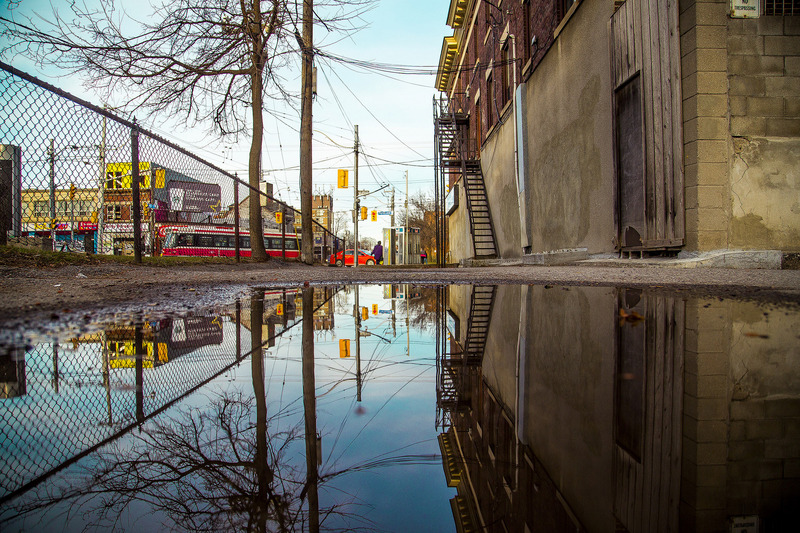 I snapped this one near Kensington Market. It’s a lone woman sitting on a bench with an interesting red brick backdrop. When she saw me aim the camera, she looked away! 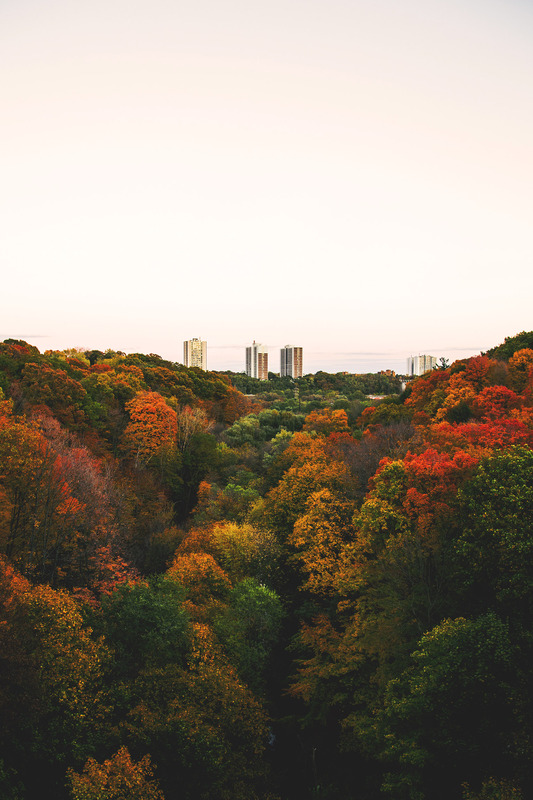 This is another shot showing off Toronto in the fall. Taken on Governor’s Road in the east end, the vast chunk of colour was too hard to pass up. I could see plenty of other people stopping to take snapshots of this view. 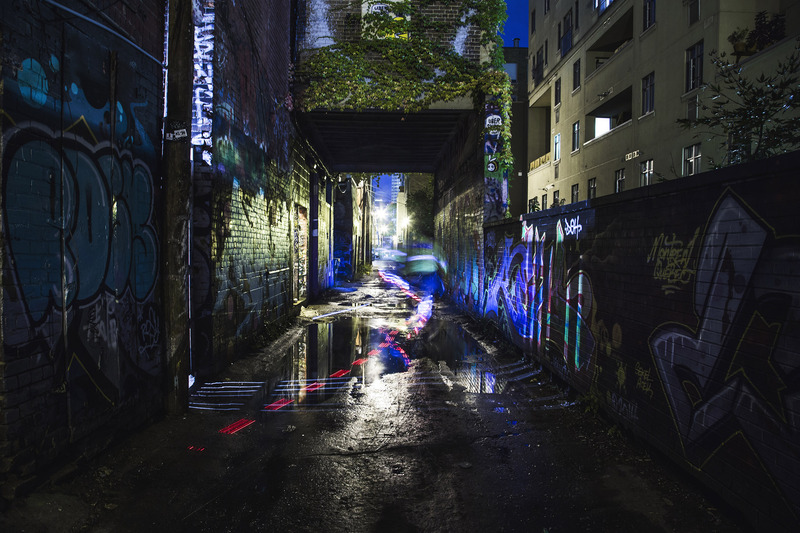 This is the infamous Graffiti Alley on Queen West. You will find a photographer there no matter what time of day. I ventured over on rainy evening to catch some night time vibes. As I snapped this, two cops on bicycles zoomed by, leaving a small light trail. 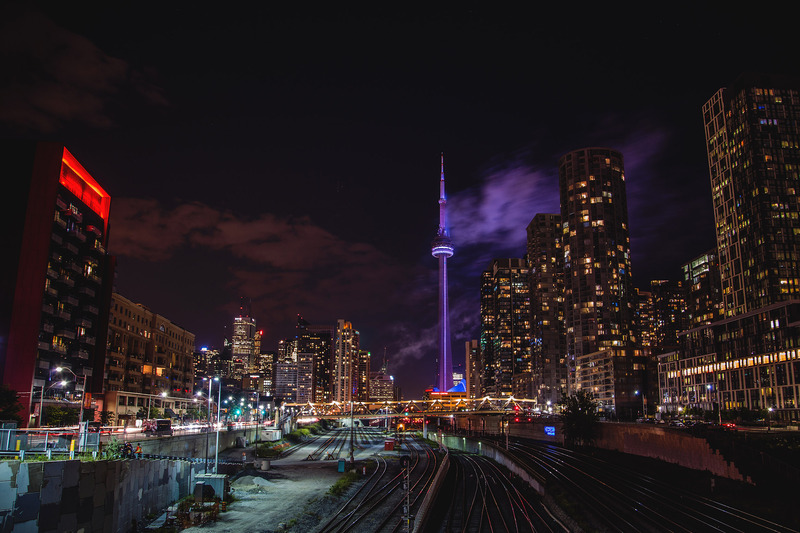 Don is a street and lifestyle photographer based in Toronto. He loves exploring the city’s diverse neighborhoods and capturing their unique personalities, while weaving his own interpretation into his images. Don has an addiction for night time photography and loves shooting overcast skies; you can find his most recent work on Instagram (@dleeezy) or on his website.